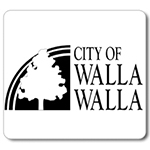 WALLA WALLA, Washington – With renovations currently underway at Walla Walla City Hall, council members will literally be on the move through March. The city has released the schedule for the February and March community open houses and city council meetings. All four meetings will begin at 6 p.m., but will be held at different locations. Mayor Barbara Clark says the meetings are being held in each of the four new wards. The open houses, which will be held before the formal meetings, will explain the new council election system, a partial ward election system that divides the city into four sections. This year, two councilors will be elected from the west and east wards along with two at-large members. In 2021, two additional members will be selected form the north and south wards, with one at-large council seat. Clark hopes residents will show up to the meetings since there will be information about each ward. The meetings are open to all people, whether they live in that particular ward or not. In December, the city approved a $72,000 dollar contract for improvements and safety upgrades to the council chambers in the Walla Walla City Hall.